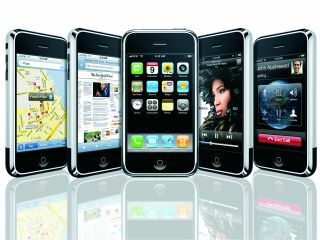 Apple has announced a teeny upgrade to the iPhone OS - meaning a few improvements to the platform. Well, we say improvements, but these will mostly be Japanese-speaking, battery-watching third-party application lovers. We're still waiting for iPhone OS 3.2, and 4.0 in the near future, but for now this will have to do as a little upgrade snackette. The update will come as usual to 'normal' iPhone users, but if you're one of them naughty jailbreakers, hold fire until the hacker community gets it paws on it.